I am spinning you a line today and combining Little M's birthday with a crafty narrative. At the beginning of September I had a day off. That is not a fleeting statement, I actually went on strike but I didn't tell anybody. I allowed myself a day off! Things had been getting too much on various levels of late and I simply had a day where I sat down, knitted stuff and watched day time TV. That was the day I bought a new sewing machine. I thought I really deserved one. I had wanted one for ages. One that did automatic button holes, had a top loading bobbin, a free motion foot, embroidery stitches, a needle that rested down when it stopped, a needle threader and all the other things I knew I would enjoy using. I bought it, then immediately photographed my other two sewing machines which did some of these things but not actually all on the same machine and sold them on ebay to recoup half of the money towards the new one. The new machine is mighty impressive and half price at £300. You may have noticed a spike in my sewing posts of late - I can't stop making things. We have all had to learn to use it. Big Sis, aged ten, made scrunchies and said, "it is so quiet!" 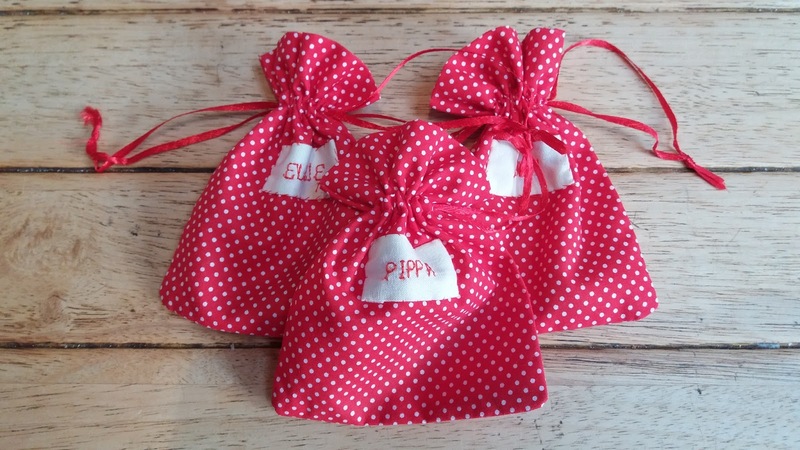 Little M, now eight, used the alphabet stitching to personalise her party bags for her crafternoon birthday party. She said the machine was: "Amazing!" Me, I made Megan a Birthday outfit. 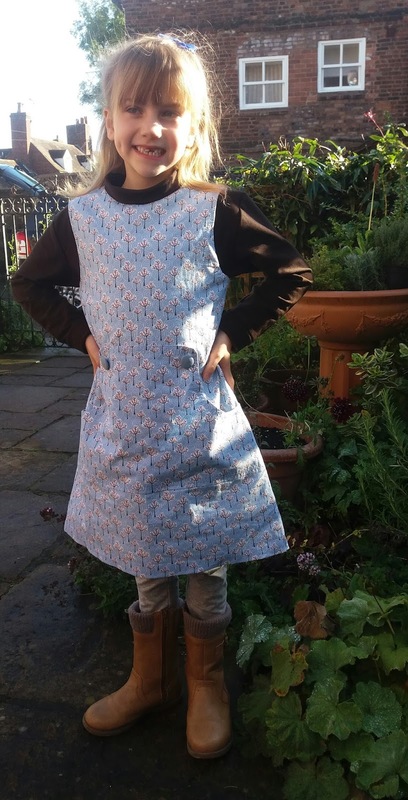 The Louisa Dress (a pattern I don't like but the end result is always fab)from fabric sent to me by Christina from My Colourful Life. I also knocked up a polo neck in some brown jersey which completed the outfit. A new machine has been a brilliant decision at a time when other decisions were quite simply out of my control. 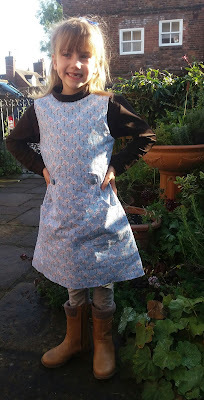 Sewing does make me happy you know! A lovely post, I so love reading what you write! Gorgeous makes too, as usual. 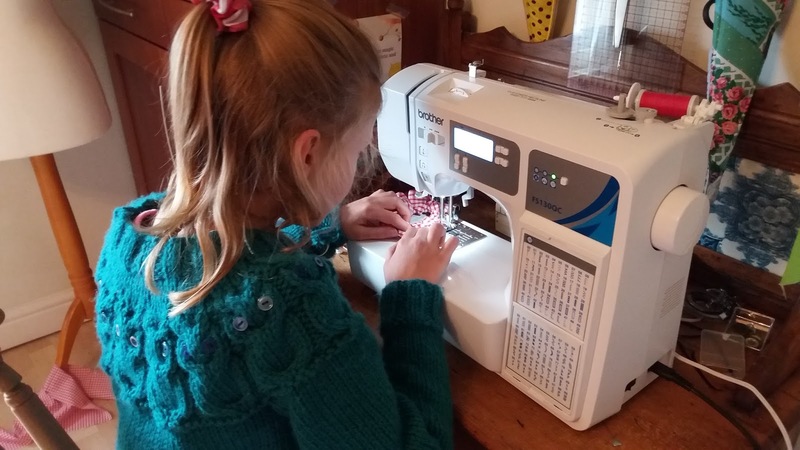 You certainly deserve that machine Jo, you sew so much. Love that the girls can use it too. My they are getting so big! Well done on all of your projects. You're so productive. I'm glad you gave yourself a day off, you deserve it. The new machine is great! My sewing machine is a Brother too, but it's nowhere near as nice or advanced as yours. I know you will make great use of it, you already are. 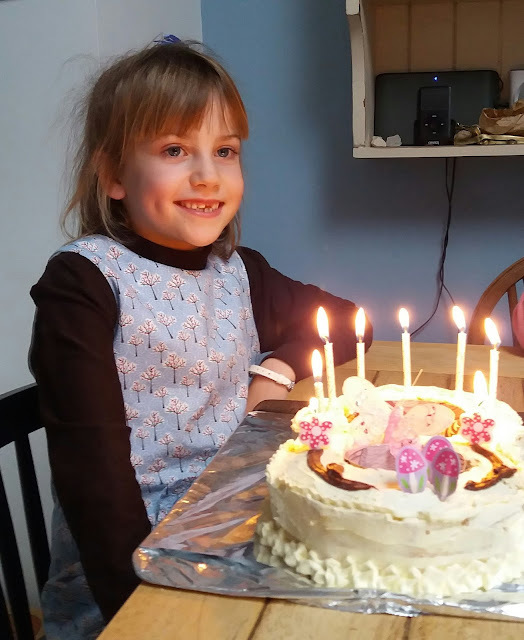 Happy belated birthday to your sweet girl! I think alphabet stitching alone justifies this buy. Good for you taking a day off. Belated Happy Birthday to Little M. She looks wonderful in her new outfit. Scrunchies being made too. Both your girls obviously take after you. I have only used the alphabet stitching a couple of times. Must do more! I have gone on strike before, it is quite satisfying and also restorative. I am going to take next week of, catch up with housework and then indulge in crafty things. I have gone on strike a few times over the years. Once I stopped doing any washing that wasn't in the washing basket, socks etc were soon picked up off the floor when they ran out. Belated Birthday wishes to your daughter. 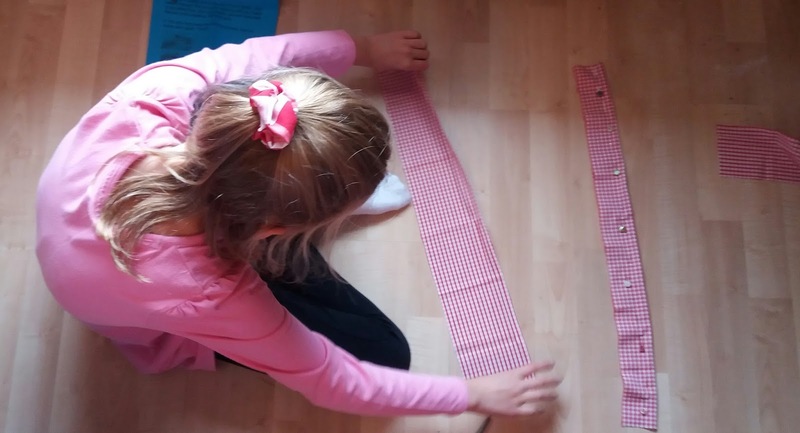 They are so skilled on the sewing machine, obviously following in your footsteps. Well now looks as if you have another model in the making. Lovely photos of Little M ( who is not so little anymore). The outfit looks lovely and really suits Meg. Hope the birthday party goes/was great. A day off sounds a-maze-ing! Well done for actually taking one and enjoying it. When I got my new machine - well it was a birthday present last year so not that new now but I still call it my new machine - the rest of the family all said "it's so quiet! too"